This 6 cm knotted netting is an excellent choice if you wish to install a rail net or deck net while preserving natural light. 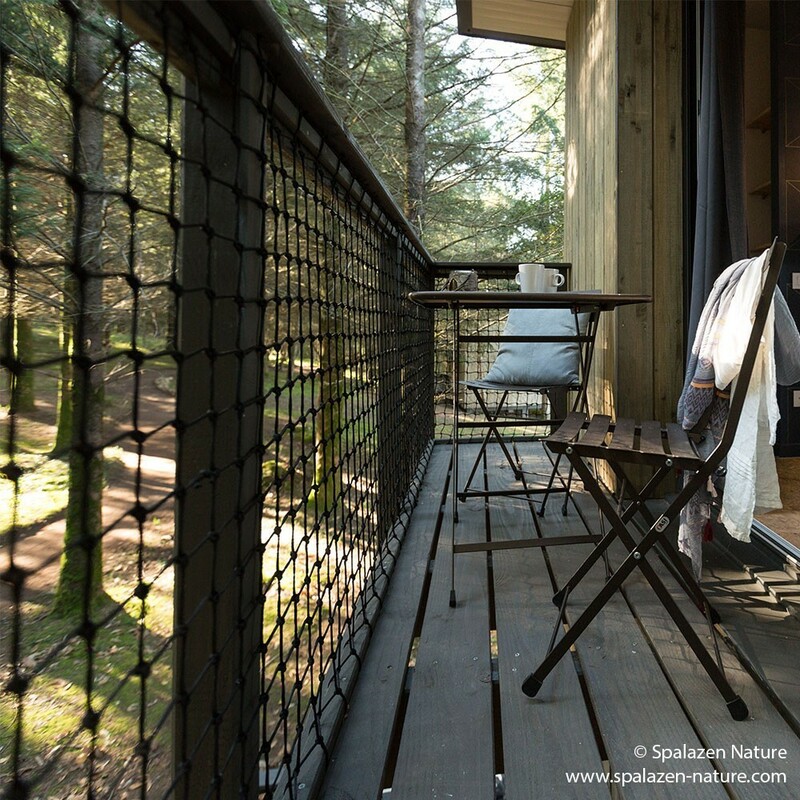 This netting is made from polyamide: a more elastic material than polyester (material of our 13 and 30mm knotless netting) but not as soft, this is why we suggest using it for a vertical installation rather than horizontal. - Knotted netting: a stylish nautical finish to your netting. The knotting of the net adds a nice finishing touch, however it isn't very comfortable to lie or walk on. 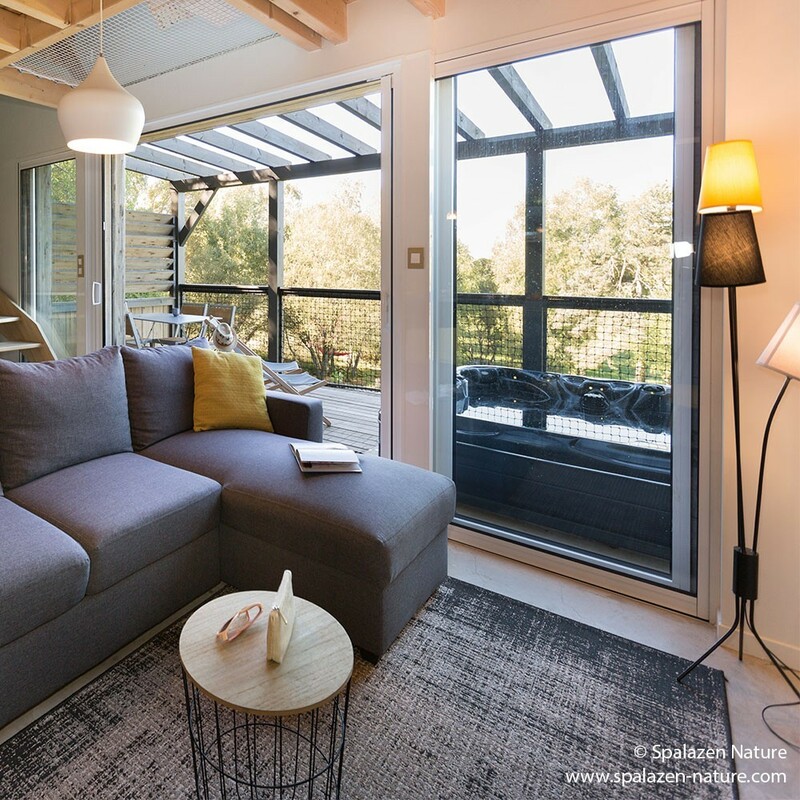 - 60 mm square netting: this wide pattern helps maintain maximum luminosity and is ideal for those wishing to conserve natural light, making it less noticeable. A great bonus if you want a discreet installation. These nets are great for the terraces and guardrails. 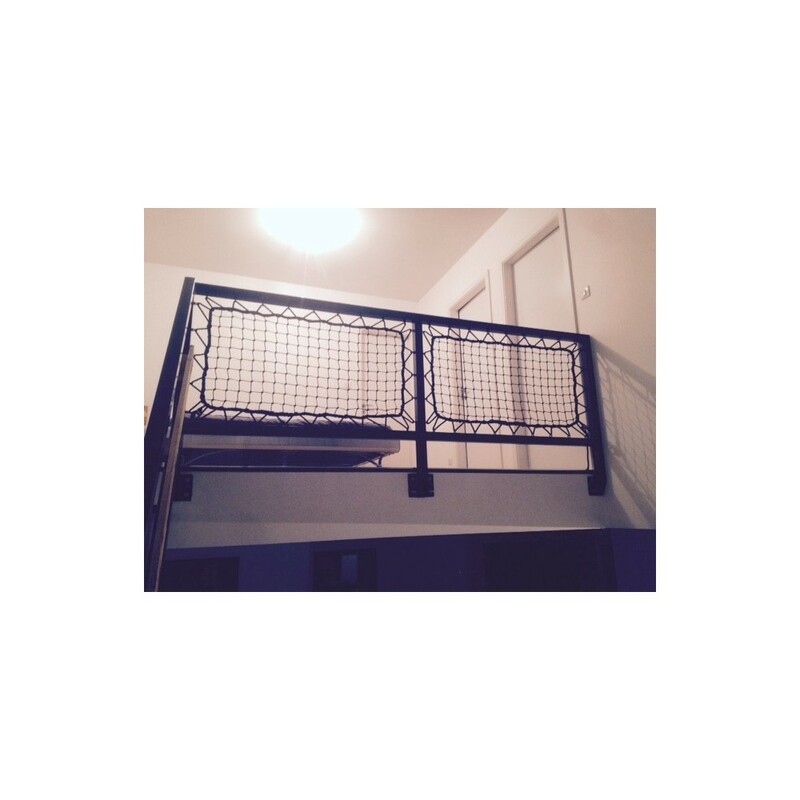 - 12 mm stitched bolt rope: Reinforcing the edges of the netting and creating an aesthetic finish. - UV-light and anti-mould treatment: Like all of our deck nets, this netting has been treated against UV-light, conserving its worth even after lengthy sun exposure. It is also designed to withstand wet and salty environments. 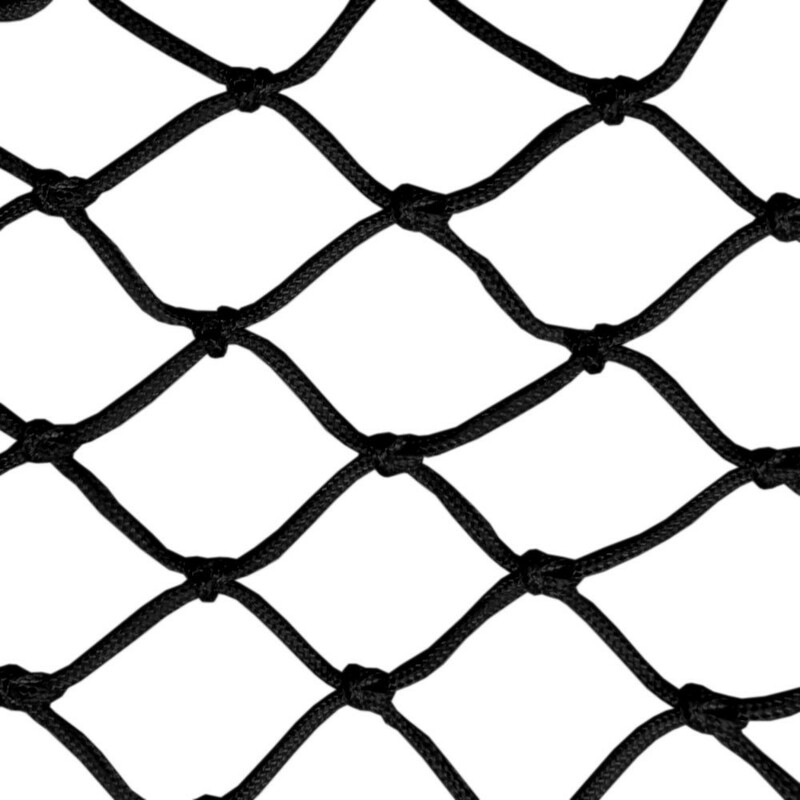 This netting is exclusively available in black. A manufacturing delay of 3 to 4 weeks is necessary between order and shipment. 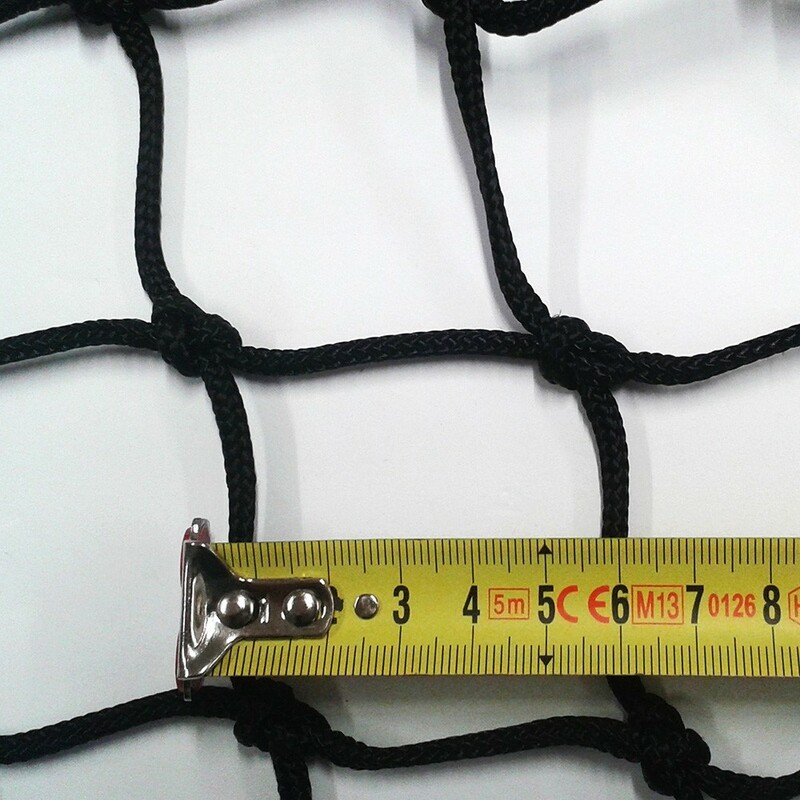 This very loosely-knotted net (60 cm) is mainly used in vertical positions. It is UV-resistant to withstand the test of time, both indoors and outdoors.